What separates marathons and other road races in the state of Florida from others across the nation? Scenic runs down the coastline, flat routes, and ideal running weather. Whether you’re lacing up your running shoes or standing by to support the participants, there’s nothing better than getting outside and soaking up the Florida sun. 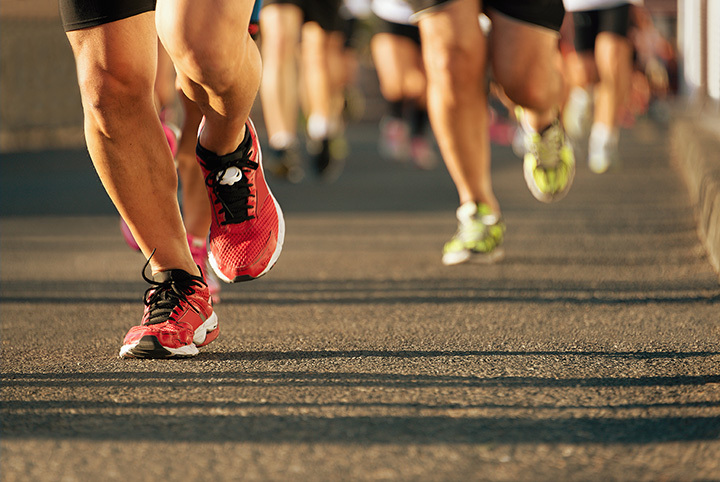 Here are the 10 best road races the Sunshine State has to offer. Set for next Jan. 7 and 8 is, in the resort’s words, the “most magical race on earth. It takes runners through most of Disney’s theme parks and the ESPN Wide World of Sports Complex. The race concludes with what Disney calls a “spectacular finish in the shadow of Spaceship Earth.” It has Disney’s typical methodical organization. There’s Disney characters to cheer on racers and onlookers alike, and entertainment along the courses. Also, a “Family Reunion Area” with live entertainment and characters. This is said to be the largest 15K race in the U.S., and features America’s top Olympic athletes competing for $85,000 in prize money. Even if you’re not a major league runner, there’s a lot to do such as charity events, a dozen live bands, and even a “Diaper Dash.” The last event drew 24,000 runners and walkers. This race started in 1975 with just two participants. Since then, it has added a new marathon and half version, and become a popular event drawing Floridians and others from all over. Most Florida residents don’t have reasons to visit the state capitol (no wonder they have trouble spelling it). So this is a good chance to see where culture and politics meet. Runners routes’ show bustling neighborhoods, the small downtown, the historic Myers Park and the Florida State University (best known nationally for football) campus. The two races are non-profit events benefiting Gulf Winds Track Club and The Hang Tough Foundation. Typically run on the last Sunday in January or first Sunday in February, this fast-growing race has drawn well-known runners as well as amateurs. Its importance is evidenced by TV coverage. It’s an official Boston Marathon qualifier. There’s also a wheelchair version. The course starting at the American Airlines Arena (where the Miami Heat play basketball) is a virtual tour of the state’s most populated city: past cruise ships docked at the port of Miami, South Beach with its art-deco hotels and trendy nightclubs, and along world-famous Ocean Drive. One other attraction is the weather. Late January and early February in Miami usually means sunny skies and typical temperatures in the low 70s. Organizers cite it as the first race that built entrants through the relatively new source of a crowdfunding campaign. So it should be a minor footnote in history, and perhaps a model for other similar events. Through crowdfunding, it doubled participants to 1,300. It draws runners from 34 states and four countries. As you might imagine, it’s well organized and includes a lot of rural scenery in Florida’s Panhandle. This 26.2-mile race has been certified as a qualifier for the coveted Boston Marathon. The Panama City Beach Marathon includes the 13.1-mile half-marathon and 5K races because of the merging and renaming of “Run for the Redfish.” The later fish is perhaps the most famous from this area. The race is one with a view: alongside the Gulf of Mexico. This is a chance to see some of the world’s top runners, who are attracted to what sponsors say is becoming one of the top races in the country. It’s definitely a scenic trip: The 15K brings runners over two bridges, across Pensacola Bay and Santa Rosa Sound. Almost half of the race is over water. They rightly describe this as “a quieter and less crowded alternative to Florida’s popular Miami and Disney World Marathon.” It attracts a smaller crowd of 4,000 or so runners. In addition to the half and full marathons in February, there’s also an A1A 5K race. Runners find a flat course loaded with ocean views from Florida’s famous and often ocean-hugging AIA. Party events also draw spectators to the food, beer and live musical events. This is a 30-year tradition. A two-day event with four races going through the busy streets of the city. If you ran them all, you would run more than 30 miles in one weekend. That will earn you an extra-large medal and a jacket (in addition to a lot of exercise). Some of the route is along the open water of Tampa Bay. Do you want to run at night? Or maybe just walk…a shorter distance than a 26.2 miles? Say one mile. You’re a good candidate for this race which also includes 5K and 10K events as well. It’s held every July. The walk starts at 11 p.m. followed by the longer races. How do you run in the dark? Easy. Milk-jug lanterns line the route that ends up in Honeymoon Island State Park, among the state’s most beautiful beaches and normally closed to the public after sunset. View more Florida Road Races.